Fresh, homemade almond milk is easy to make from scratch. 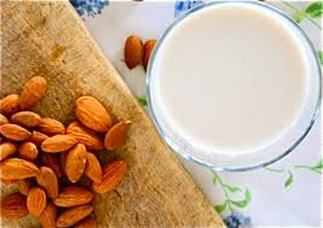 Use your homemade almond milk in smoothies or shakes, soups and other raw food dishes. Drain the water from the almonds and discard. Blend the 3 cups of water, almonds and dates in a food processor until well blended and almost smooth. Strain the blended almond mixture using a cheesecloth or other strainer. Discard the almond pulp. Add honey or vanilla to the almond milk if desired. Store the almond milk in an air tight container.